A website devoted to exploring Britain's distinctive contribution to the world. I think I can put my hand on my heart and say that the process by which this was achieved was one of the most beautiful political operations I have seen or expect to see in my lifetime. It couldn't have been achieved without continued pressure from the IRA and without immense patience and skill on the part of Adams and McGuinness. It wasn't what I wanted. Indeed the system of government that has been established in Northern Ireland as a result is in any normal understanding of politics monstrous. It allows of no political development outside the rigorous Nationalist/Unionist model. A system based on one community terrorising the other has been replaced by a system based on a balance of terror - the Ulster Protestants are now obliged to regard the Ulster Catholics with respect. What we were advocating could have been achieved without violence and would have allowed the Nationalist/Unionist model to be subsumed into divisions on social and economic issues. But the total integration into the politics of the UK that I wanted to see was ruled out of order by the determination of the UK Parliament to keep Northern Ireland trapped in its state of limbo, and by the utter failure of the Unionists to recognise and realise the real logic of their supposed 'Unionism'. And let us admit that once the UK began to break up, with devolved governments in Scotland and Wales - a development very few of us could have foreseen in the 1970s/80s - it would have been much more difficult to argue against having a devolved government in Northern Ireland. 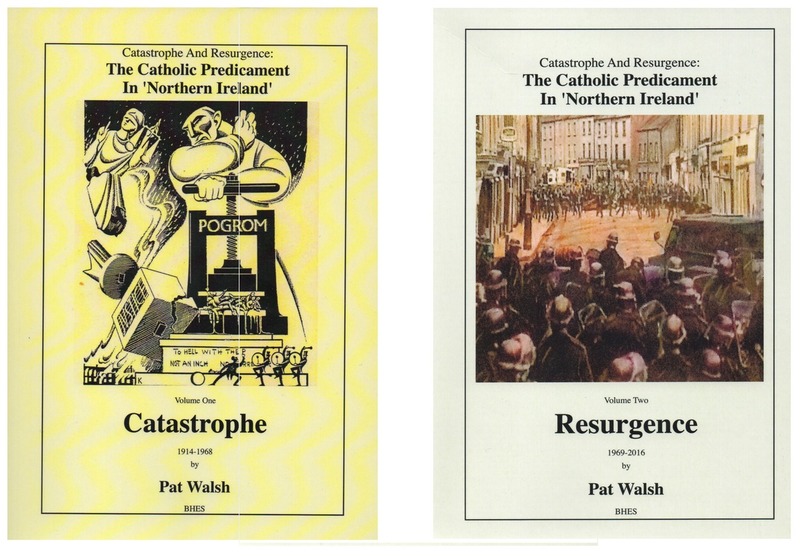 Also let us admit that it might have been difficult - maybe not impossible, but difficult - for the integrationist perspective to accommodate the sheer high spirits and moral self confidence that had been created within the Catholic community by the success of the IRA campaign. This leaves us with the obvious question, where do we go from here? The arrangements put in place by the Good Friday Agreement are deeply undemocratic, they put the sectarian division into deep freeze - or rather they keep it in the deep freeze that is a necessary condition of the continued existence of Northern Ireland as a distinct political entity. Northern Ireland is still subordinate to the UK Parliament but excluded from the politics of the UK Parliament. Given the apparent inability of Jeremy Corbyn to reform the British Labour Party [this was written before the election of June 2017 which has, hopefully, changed things - PB] it is hardly credible that, were it to finally agree to contest elections in Northern Ireland, the Labour Party could exercise anything like the power of attraction it would have had in the 1920s or even in the 1970s. Maybe the deep freeze can continue for many years but it will eventually have to end. Throughout this talk I have said there were only two possible ways of overcoming the perversities of Northern Ireland. One was incorporation into the politics of the UK; the other incorporation into the politics of a united Ireland. In principle I am indifferent as to which is chosen. I preferred incorporation into the UK because it could have been done easily and without bloodshed and because in the 1970s the power of the Labour movement was such that Britain seemed well set on a road towards a more Socialist economy. Incorporation into a united Ireland will still be very difficult but the consequence of over forty years of political incompetence on the part of the UK government and the Unionist Parties, together with the political competence of the leadership of the IRA, is that a united Ireland has now become the easier and more attractive of the two possibilities.